Conservative Koch Brothers' Group Puts Congressional GOP On Notice : It's All Politics Americans for Prosperity set out its own agenda for congressional Republicans, including a call to build the Keystone XL pipeline and repeal the Affordable Care Act. 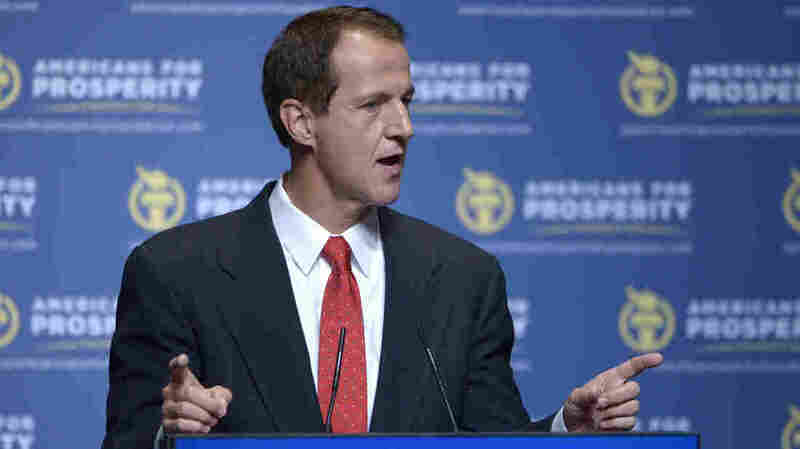 Congressional Republicans have "been given a second chance by the American people," AFP President Tim Phillips said. "And we're going to hold them accountable. We're determined about that." 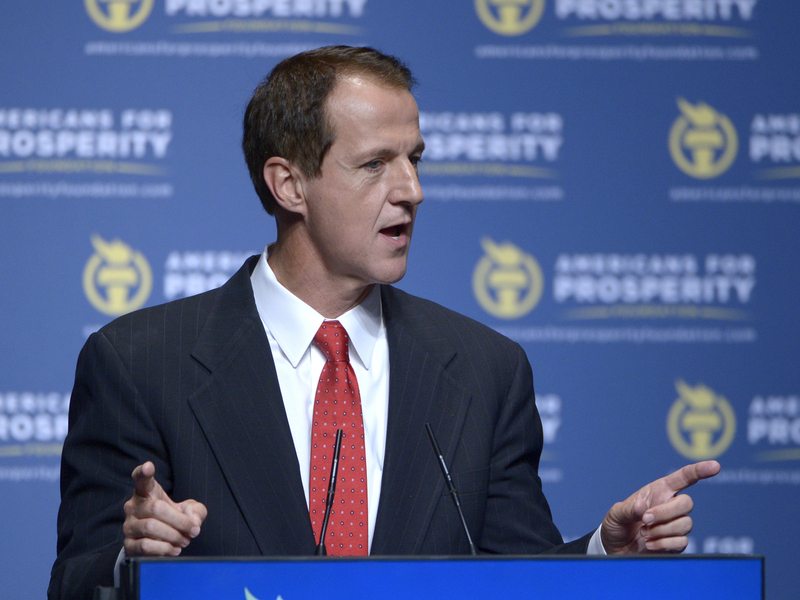 Tim Phillips, president of AFP, said at a Washington press conference that congressional Republicans "failed miserably" a decade ago, especially on cutting the federal budget. "They've been given a second chance by the American people," he said, "and we're going to hold them accountable. We're determined about that." The agenda covers three areas: taxes, including repeal of the estate or death tax; energy, headlined by a call to build the Keystone XL pipeline; and health care, which includes repealing the Affordable Care Act. Phillips noted that Washington has debated all of the issues for years. AFP is best known for its TV advertising and its financing by billionaire industrialists David and Charles Koch and other, undisclosed, wealthy donors. AFP is a 501(c)(4) social welfare organization, not a political committee, and thus isn't required to disclosure its contributors. AFP spent more than $17 million on television in the 2014 midterm elections, according to the Wesleyan Media Project, which tracks political advertising. Much of the money went into ads framed around accountability, urging voters to look critically at Democratic incumbents' votes on controversial issues. In 2012, Wesleyan reported that AFP spent about $36 million in the presidential race and about $9 million in Senate contests. Until now, AFP has almost completely avoided the Republican Party's internal battles — a stance that seems ready to change with the emphasis on "accountability." Phillips said AFP will use grass roots and a variety of other avenues to pressure Republicans on Capitol Hill. "Hopefully it will be encouraging," he said. "But in cases where we need to hold them accountable, we'll look at everything. But for today, let's just say we're going to hold them accountable."